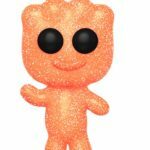 Sour Patch Kids Funkos | Nerd Much? 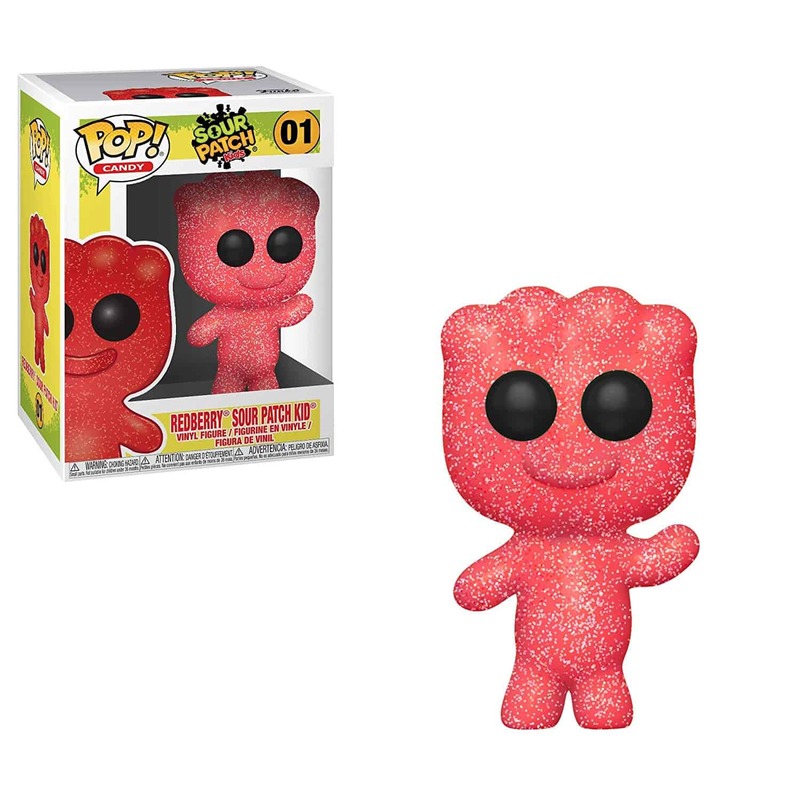 I am an avid collector of Funko Pops and I love Sour Patch Kids, so I needed to get the whole set. I am happy to say that I now own the Pop! 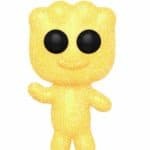 for the Lemon South Patch Kid, the Blue Raspberry Sour Patch Kid, the Redberry Sour Patch Kid, AND the Orange Sour Patch Kid!. The whole set was close to $50, but I love how they turned out in the Funko Pop! form and it was totally worth it. I guess like the candy you gotta have the sour with the sweet, right? The Sour Patch Funkos 4 inches tall, like most Pops! although these ones can’t really stand by themselves, which is why they have a stand instead of being able to balance on their feet. All four of the Sour Patch Kids are identical in their poses. Lemon and Orange have their right arms raised, but with Redberry and Blue Raspberry have their left arms raised. 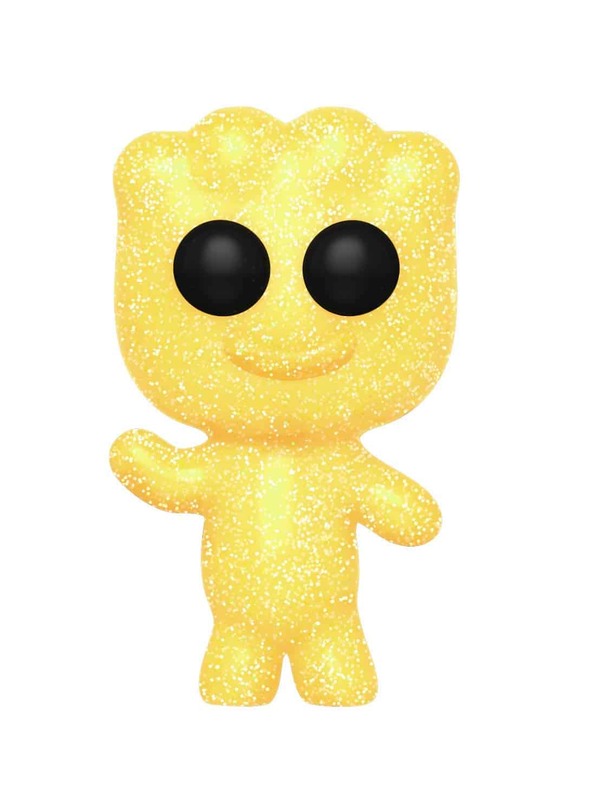 It makes sense they’d reduce the number of shells they’d need, but I am a bit disappointed each of the Sour Patch Kids doesn’t have their own unique pose that gives them a bit more personality. 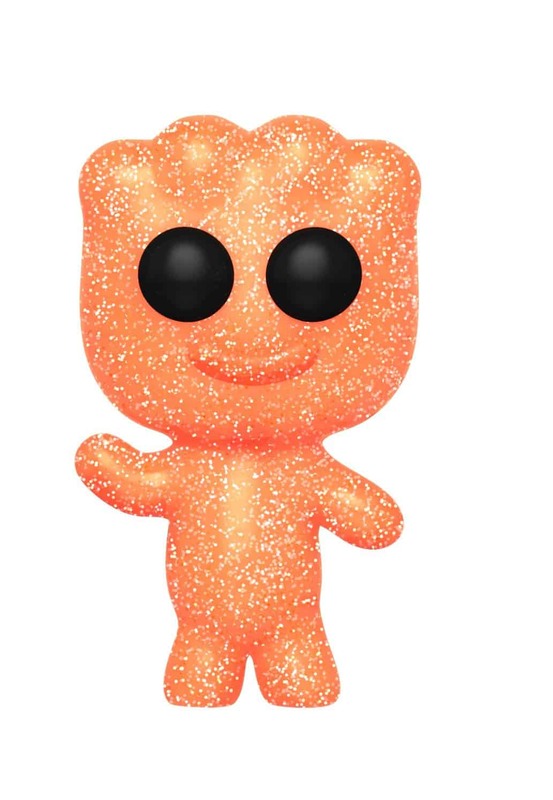 This isn’t a knock against the figures, though, because the quality is great — but I wish they could have done a little more like in the commercials with the Sour Patch Kids doing mischievous things. 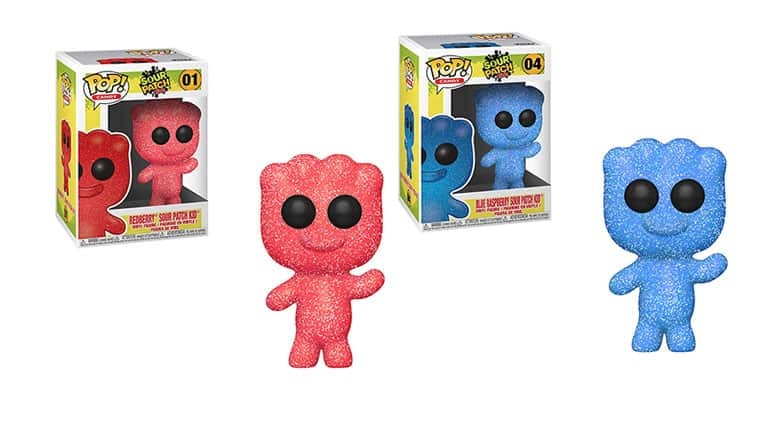 The colors are great on each of the Sour Patch Kid Funkos, though Blue Raspberry is my absolute favorite of the bunch. I really like how they have that jelly look like the actual candies do. You can pick them up on Amazon or Entertainment Earth.